The EDC 'Best Student Award' goes to: Robin Wendel! As an ESRI Development Center, Z_GIS every year has the opportunity to nominate one top student based on his or her software development competence. 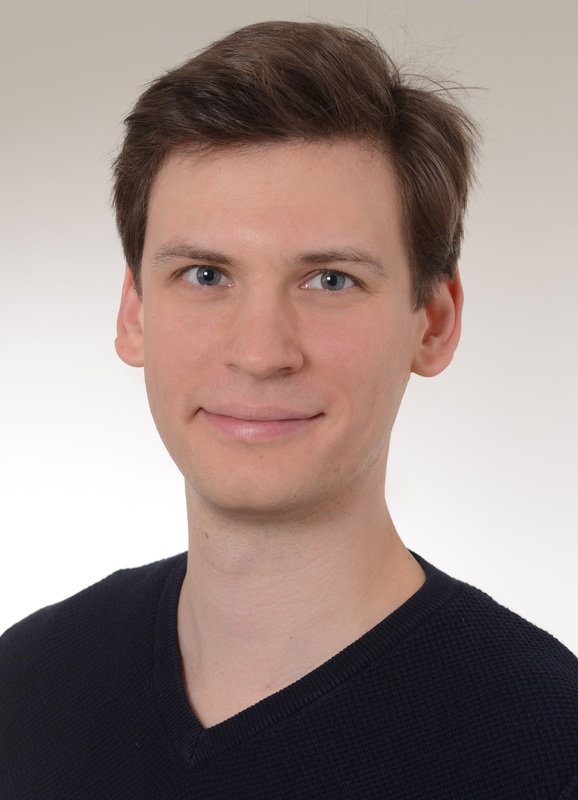 This year this special honour is awarded to Robin Wendel for his MSc Thesis based on the development of an Interactive Network Assessment Tool for Evaluating Bicycle Infrastructure. Mr. Wendel has addressed a timely and critically important topic in his Master thesis: Road safety is a core element of any bicycle mobility promotion strategy. In order to provide a basis for evidence-based decisions and improvement measures, as a first step the bicycle safety of a road network needs to be assessed. Up to now, this safety assessment used a-priori defined input parameters and weights. The definition and calibration of these settings require a huge effort and expertise in spatial data modelling and often result in an averaged assessment result not considering specific local or environmental circumstances (e.g. urban vs. rural). Congratulations to this distinction, and to continuing a tradition of excellence established by previous recipients of this award (Mariana Belgiu, Bernhard Vockner, Christoph Mayerhofer, Caroline Atzl and Eva-Maria Schönauer), thus serving as an outstanding role model for future generations of Geoinformatics students in Salzburg! Invitation to apply for a 6 months Erasmus Mundus ‘gSmart’ PostDoc scholarship at a CA partner university: http://em-gsmart.zgis.net/ca-partner-contacts, if you have a genuine interest in GIScience and research in Central Asia. A detailed research/work plan and established contact to the host university is a necessary requirement. In addition to individual research activities, Postdoc scholars will be involved in co-teaching and team teaching at host universities. We are pleased to announce our next two brown bag seminars. The effects of spatial connectivity on biogeochemical processes and biodiversity dynamics is relatively poorly understood. We address the influence of bacterial community and plant species diversity on carbon storage and primary productivity for different types of boundary conditions. We quantify total carbon in soil and vegetation in semi-natural mountain grassland connected to forested landscape in the Carpathian Mountains. We also evaluate plant species diversity, plant biomass and quantify cellulolytic bacteria in soil. This allows us to test the hypothesis that higher spatial connectivity enhances plant diversity and consequently carbon storage and primary productivity. Increasing spatial resolution of remote sensing imagery has led to challenges of extracting meaningful information thereof. While methods for objective parameterization of image segmentation have recently been proposed, over- and under-segmentation still remains an issue for parts of the target image objects, therefore identification and further refinements of these objects are necessary. We implemented an automated tool for refinement of image objects within the eCognition software, that takes into account and reduce the effects of the main errors of image segmentation: over- and under-segmentation. Promising results were obtained by applying the tool on various datasets (WorldView-2, QuickBird and DSM). The tool proposed has the potential to improve the quality of segmentation as well as the classification accuracy and it can be successfully applied as a continuation of ESP2 tool, for refining the automated extracted objects. The GIScience Commission of the Austrian Academy of Sciences, the Interfaculty Department of Geoinformatics - Z_GIS, University of Salzburg, Austria and Tribhuvan University (TU), Kathmandu, Nepal cooperated in organising a regional workshop on 'GIS Applications for Assessing and Managing Natural Hazards in the Himalayas (AMaN-himal)' in Kathmandu, Nepal from 22 to 27 February, 2015. Dr. Shahnawaz (Z_GIS) and Prof. Krishna Poudel (TU) coordinated this workshop hosted by the Central Department of Education (CED-TU). 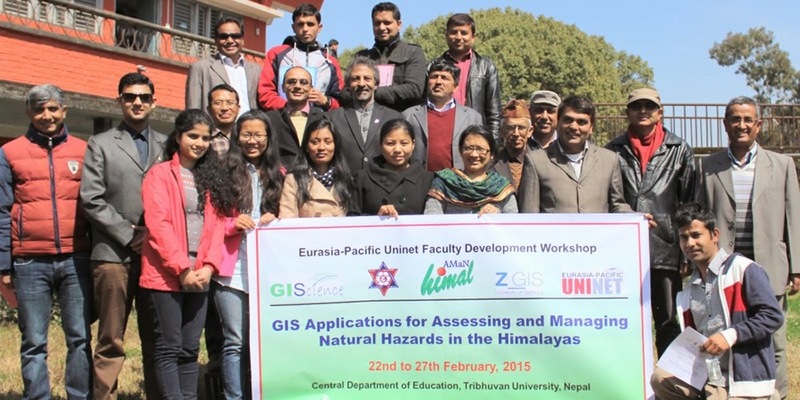 Designed as an advanced GIS training supported by the Eurasia-Pacific Uninet (EPU), the event brought together 19 teachers, students and practitioners from Nepal, Bhutan, India and Austria. The opening ceremony adorned by various dignitaries from TU was chaired by the Head of CED-TU, Prof. Shiva Sharan Maharjan. He highlighted the previous academic activities conducted jointly by the GIScience Commission, Z_GIS and TU and expressed appreciation for the continuous support extended by the EPU. The participants attended a series of lectures covering the concepts of natural hazards in the Himalayas and applications of Geospatial Science and Technologies for assessing and managing these in an effective manner. They took intensive practical 'hands-on training' of ArcGIS software for processing and analysing various types of relevant GIS and Remote Sensing data. The TU Vice Chancellor, Prof. Hira Bahadur Maharjan, conveyed in his message after the closing ceremony that he interacted with the participants who voiced a high level of satisfaction about their learning outcomes within the short period of one week. He expressed thanks to GIScience, Z_GIS and EPU for conducting this Second International Workshop focussing on GIScience faculty development at TU and envisaged to expand academic cooperation with Z_GIS.